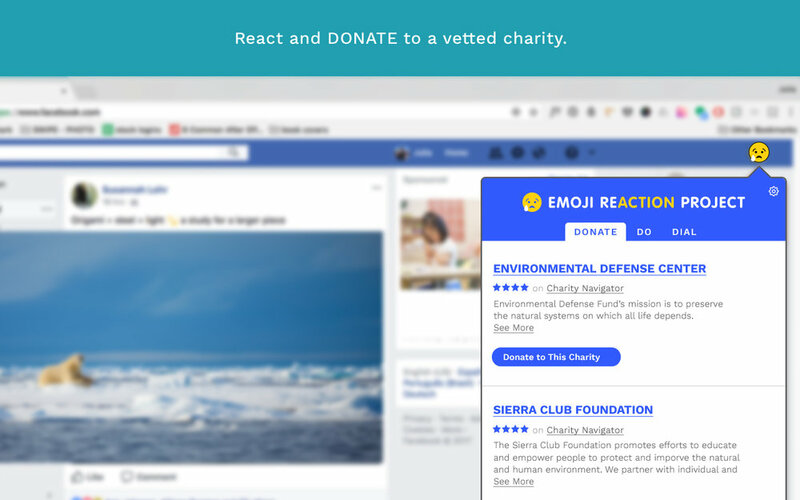 A Chrome extension that turns your Sad & Angry Facebook Reactions into real, social action. *Unfortunately the extension is no longer available in the Chrome store. But we’re working on phase 2 of this project and hope to bring you something much bigger and better soon. 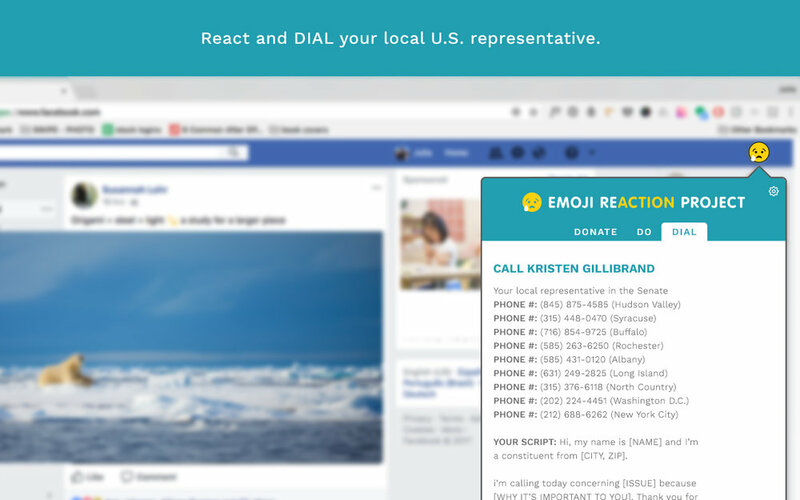 • Webtekno: Facebook'taki Emojiler, Aktivizme Dönüşebilir! • Khaleej Times: Can You Say It With An Emoji?